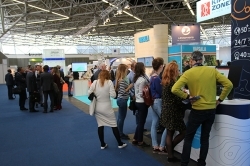 With less than two months to go, visitors should be sure to make plans to see the three vendor workshops taking place on the exhibition floor at Meteorological Technology World Expo, from October 9-11 at Amsterdam RAI, Netherlands. 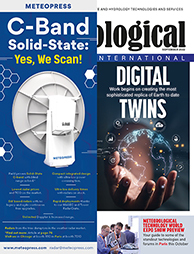 In previous years, Leosphere’s workshops have focused on hands-on experiences of the scanning Windcube hardware, and how to remotely control, process, display and manage lidar data with the scanning Windcube software. This year, the company’s technical workshop will focus on practical experiences and operational use-cases of the technology. Metek will present two innovative remote sensing techniques. First, its Micro Rain Radar MRR-PRO, which allows for precise measurements of the Doppler spectra caused by hydrometeors. Second, the CW Doppler Lidar Wind Scout, which enables users to set up accurate wind and turbulence measurements at any site within minutes. The Stevens Water workshop will focus on the science of the analytical measurements of soil water content and water potential. From applications-in-the-field to a more theoretical approach, the workshop provides tools, information and insight for users of soil moisture sensors and soil moisture data. To register for the free-to-attend event in Amsterdam, visit www.meteorologicaltechnologyworldexpo.com.